AT&T has announced exciting news for costumers who bundle DIRECTV NOW with their AT&T internet service subscription. In an email sent to current qualifying subscribers, AT&T revealed they will now provide unlimited home internet for free with the addition of their DIRECTV NOW streaming service. The company normally charges $30 for unlimited home internet. Costumers who want to avoid the additional cost face a 1 TB monthly data limit. For the first time, AT&T will now exempt this $30 charge if DIRECTV NOW is purchased for as low as $35 per month instead. This change by AT&T gives their streaming service a huge advantage over competitors. AT&T internet consumers who use another streaming service such as Hulu or Sling TV must either deal with the 1 TB monthly AT&T data limit or pay the additional $30 for unlimited internet. The company is offering a substantial incentive by cutting costs and eliminating the stress of a looming data cap for users of their streaming service. AT&T will automatically apply this deal for home internet costumers who are already subscribed to DIRECTV NOW. This will remain the company’s standard offer for anybody who decides to bundle the company’s native streaming service. You only need to make sure your AT&T internet plan and your DIRECTV NOW subscription list the same home address. AT&T has confirmed the necessity of this detail. So if you would like to take advantage of this new offer, double check that all of your account information is consistent. For anybody who wants to stream live TV with zero data limits, this new AT&T deal on DIRECTV NOW could definitely help cut costs. However, some are worried AT&T is abusing their role as an internet provider, manipulating data options to give their own streaming platform an unfair advantage. If you would like to both save money and protect your internet freedom, there are cheaper and more independent options available. Kodi is a community-driven open source media center app which makes it easy to stream live TV, movies, full shows, and more! Totally free to download and install, Kodi will run with ease on most computers, tablets, phones, many smart TVs, and most other streaming devices. Keep in mind that no matter which app you choose, a connection to the internet is still needed to stream media online. Unlike many streaming services that require proprietary software, Kodi uses third-party add-ons, some with the ability to find and access nearly any streaming media file found online. 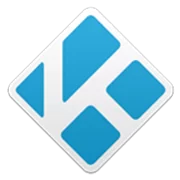 Kodi then lets you watch your chosen title, acting as a streamlined media player. This can give you access to a huge variety of content for little to no cost. Interested in free movies, TV shows, and even live sports broadcasts? Check out our comprehensive overview of Kodi for more information! Enjoy Online Video Streams Worry Free!